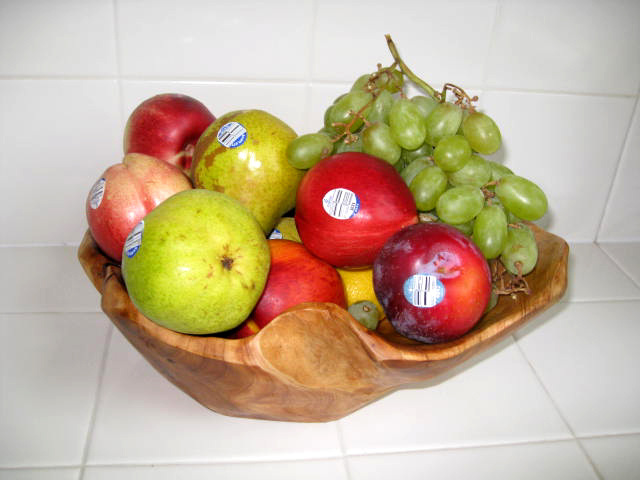 Gone is the beautiful fruit bowl with tempting apples, pears, nectarines and plums, that is unless you think fruit with stickers is attractive. Is it my imagination or not that these once easy to peel identifiers are now almost impossible to remove. The rise of organic fruits may have lead to labeling with hard to remove stickers so people could not switch them. Or maybe your local grocer knows you can't tell a Honey Crisp from a Braeburn and wants to make sure you understand what you are paying for. But isn't that an affront to those among us who know what we are buying, are paying top dollar and would like to display our wealth in a fruit bowl? Or can we just assume that our neighbors will know that a "9" is added to the front of the regular four digit PLU code to indicate organic and that we don't buy anything with an "8" because that means it is genetically modified. I know that organic fruits and vegetables are not always the most perfect specimens, but the tears, blemishes and gummy residue left behind by the sticker are additional ugly marks. And most fruit must be consumed immediately upon removing the sticker because the skin tears and leaves an opening. Of course instead of tearing the fruit you can just eat the sticker. That's not to say they are really "edible" and they are definitely not organic, but FDA standards for PLU codes (product lookup labels) require them to be made with lead free dyes and food grade glue. Edible or not, the glue needs adjustment. 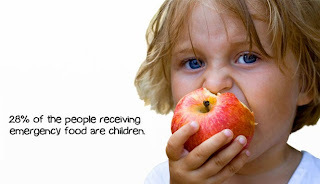 If you want your kids to eat fruit as a healthy snack, the labels need be easy to remove. Or maybe they can stick to grapes which are not labeled individually. There is an alternative to glue, laser etched labels, but since any form of radiation is a food additive, this idea has been winding its way through the FDA since 1997. In any case you would just be substituting a permanent label for a sticky one that with patience you might be able to take off. What's more important keeping people honest, checking our own groceries, or making attractive fruit bowls?